This package contains 20 rounds of Hornady LEVERevolution .45-70 Government ammunition. Each cartridge is loaded with a 325 grain patented Flex Tip projectile. 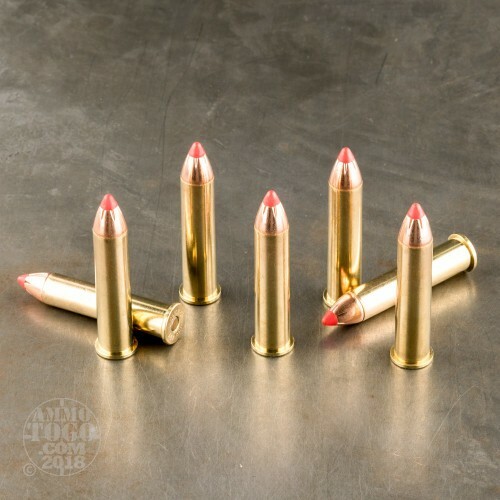 These unique bullets feature a polymer flex tip point. These FTX projectiles provide a higher ballistic coefficient while increasing velocity. 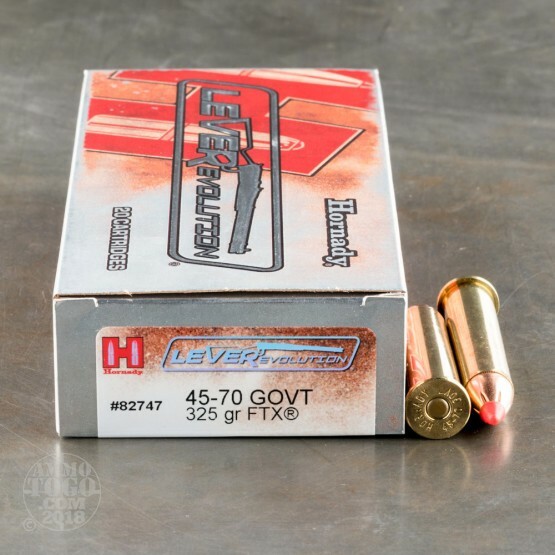 This unique design also provides special shock-absorbing safety in tubular magazines, allowing you to get the best performance out of your lever action .45-70 Govt. rifle. 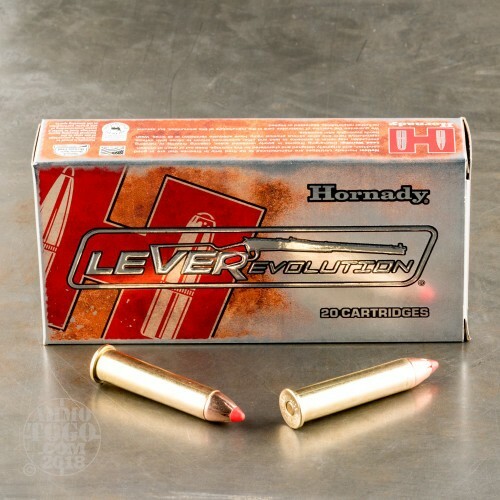 Hornady Ammunition was founded in 1949 as a simple, two-man operation. From those humble beginnings, Hornady has grown to become an industry innovator and top producer of high-performance ammo. 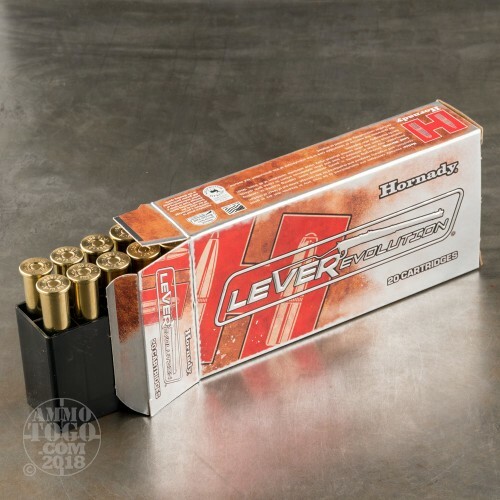 Hornady’s LEVERevolution line was specifically developed to deliver maximum performance in lever action rifles and revolvers. In my opinion, this round is awesome for hunting the thick East Texas thicket. Deer get hit, and they don't get up.